Delaware bail guidelines have been provided to help Justice of the Peace Courts impose bail fairly and consistently. 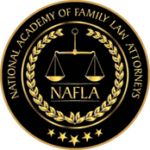 Although judges must still use a fair amount of discretion and look at all of the circumstances in setting bail, that discretion is restrained by both statutory and constitutional limitations. The Delaware bail guidelines policy is used to help judges make logical and appropriate decisions when imposing bail. Delaware essentially has four types of bail; “OR” or release on own recognizance, unsecured bail, secured bail and cash bail. Delaware allows someone released on their own recognizance to not post any money for bail to be released. Essentially the same thing happens with unsecured bail; however, there is a monetary figure attached to the bail. If the defendant violates the terms of release or doesn’t show up for trial, the Court can convert the bail to secured or cash. Secured bail requires money to be posted but the money can be posted by the defendant or a bail bondsman who typically charges a premium of 10% to post bail for a Defendant. The premium is the payment to the bail bondsman, so the defendant doesn’t have to post the full amount of bail himself. This is important because when the case is over, whoever posts the bond gets the money posted for bail returned to them. The final type of bond is a cash bond which requires the entire amount of cash or property to be posted for bail. Presumptive bail in Delaware is “OR” or unsecured bail. Secured bail and cash bail should be imposed only when there are aggravating factors present and secured or cash bail needs to be imposed to ensure a defendant’s appearance or to ensure the safety of victims, witnesses or the community. The amount of bail should be based on all the factors relevant to a bail decision, not a single factor. This gives a judge broad discretion to fit the bail to each case while providing parameters that ensure bail be set fairly and consistently. There are monetary ranges recommended for bail amounts and the bail amount is set per charge. The monetary amounts are set based on the nature of the offense. For example, the bail guideline for a class G felony is $500-$2000. The only offense that permits no bail amount to be set is First Degree Murder. The guidelines provide that the vast majority of bail decisions should fall within the recommended monetary ranges and if the Court departs from the ranges, the reasons for the departure must be documented. In addition to monetary amounts, there can be conditions to bail such as having no contact with a particular place or person, pretrial monitoring, etc. For more information, contact Ron Phillips at the Law Offices of Murray, Phillips & Gay by dialing 302-855-9300 (Georgetown) or 302-422-9300 (Milford) 302-628-9300 (Seaford). Email Us.